As part of the ongoing commemoration of the sesquicentennial of the Civil War, the North Carolina Office of Archives and History is working with the Division of Motor Vehicles to create a specialty license plate. Designed by Amy Sawyer of Historic Sites, the plate features silhouetted artillerymen as well as the commemoration's theme—Freedom, Sacrifice, Memory—and URL. The design conforms with the new regulations set forth by the legislature guaranteeing that a large, unobstructed central portion of the plate be reserved for the license number and that the name of the state be clearly visible. Furthermore, the URL adopts the .gov suffix in place of the previous .com, a reflection of the ongoing migration of state government websites to the former. The intent is to market a plate over the course of the commemorative period at a cost to the vehicle operator of $30 per year. Funds received from the Division of Motor Vehicles will be directed to the Division of State Historic Sites and Properties for use in commemorative activities and for battlefield preservation, acquisition, and interpretation. A completed application and check for $30 payable to the North Carolina Department of Cultural Resources should be mailed by December 1, 2011, to Bridget Jordan, North Carolina Historic Sites, 4620 Mail Service Center, Raleigh, North Carolina 27699-4620. Once 300 orders have been received, the plates will be fabricated by the Department of Corrections. There is much going on this upcoming weekend. 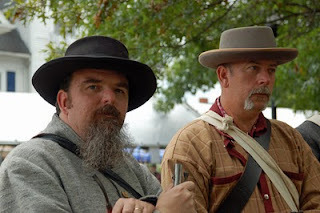 We'll be at the Olde Timey Days in Burnsville this Saturday, talking about the War in Yancey County. Please drop by and see us. This Sunday, we are participating in a tour at the site of Childsville/Calhoun in southern Avery County. Childsville/Calhoun was the first seat of the newly created Mitchell County in 1861. It is also the site of the grave of Robert Sevier, who was mortally wounded during the battle of Kings Mountain in 1781. This site is on private property, and is almost never open to the public. Since it is the 100th Anniversary of the creation of Avery County, and the 150th Anniversary of Mitchell County, the owners made an exception. Tours start at 2:00 pm. RALEIGH – Destruction was felt around homes and communities as backyards were turned into battlefields in North Carolina during the Civil War (1861-1865). Widespread suffering impacted all North Carolinians regardless of race, class or gender. The involvement of Confederate soldiers, African Americans and women is depicted in theFreedom, Sacrifice, Memory: Civil War Sesquicentennial Photography Exhibit(www.nccivilwar150.com), which will simultaneously visit the High Point Public Library and the New Hanover County Public Library in Wilmington Oct. 1-29. The exhibit will educate and illustrate a difficult period in history that the nation moved beyond. The exhibit will honor North Carolinians and their dedication throughout the Civil War with images gathered from the State Archives (www.archives.ncdcr.gov), the N.C. Museum of History (www.ncmuseumofhistory.org), and State Historic Sites (www.nchistoricsites.org). A total of 24 images will be displayed by the N.C. Department of Cultural Resources (www.ncculture.com) in 50 libraries and four museums throughout the state on western and eastern routes from April 2011 through May 2013. A notebook will accompany each exhibit with further info rmation and also seeking viewer comments. The collection depicts those involved in the war including images of artifacts and official documents. One image shows a mourning ring made by a Confederate prisoner, possibly to trade for goods, and recalls a practice of Southern women to show that a loved one was off in the war or had died. For info rmation on the High Point exhibit, call the library at (336) 883-3631. For info rmation on the New Hanover exhibit, call the library at (910) 798-6300. For tour info rmation contact the Department of Cultural Resources at (919) 807-7389. The N.C. Department of Cultural Resources is the state agencywith the mission to enrich lives and communities, and the vision to harness the state’s cultural resources to build North Carolina ’s social, cultural and economic future. Information on Cultural Resources is available 24/7 atwww.ncculture.com. I had a great question on Monday night while speaking in Thomasville - did the band of the 26th NCT stand and play "Nearer My God to Thee" on July 3 as the Confederate troops fell back after the failed Pickett-Pettigrew-Trimble charge. I could not remember at the time, so I came home and looked it up and I thought I would share what I found. Next, I turned my attention to Rod Gragg's Covered with Glory. He also mentions the 26th's band playing on July 2, with the band of the 11th NCST. "Rousing tunes like 'Luto Quickstep,' 'Louisa Polka,' 'Cheer, Boys, Cheer,' 'Old North State,' 'Dixie,' and 'The Bonnie Blue Flag' were among the repertory." (148) However, there is no mention of the band playing after the charge. 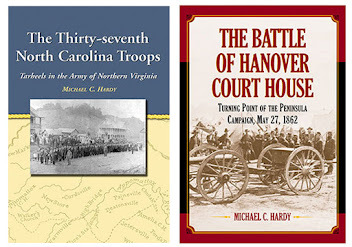 Craig Chapman's More Terrible than Victory, a history of the 11th North Carolina Troops, came next. Chapman included this about July2: "During the afternoon, the 11th and 26th regimental bands entertained the troops with patriotic tunes. The melodies of 'God Save the South' and 'When this cruel War is Over' soothed the men and cheered them a bit." (102) There was no mention of a band playing afterwards. Based upon the above, I have concluded that the band of the 26th NCT was not the band playing on July 3 while the Confederates retreated. However, Cornelius adds this in the next paragraph: "Terrible to imagine, but also infinitely moving, is the performance by the Confederate band playing Lowell Mason's hymn "Nearer My God To Thee" as the grim survivors of Pickett's Charge fell back into their lines following the failed attack." Not sure about his source on this one. Have you heard this story before? Do you have a source for which Confederate band played this tune? Since I'm going to be writing a history of a city and the War, I thought maybe I should read a couple of similar texts on other cities. So, I chose Anthony Waskie's Philadelphia and the Civil War, along with Robert S. Davis's Civil War Atlanta, both published by the History Press. As a disclaimer, I have read several volumes on Richmond and the War and Leach's Reveille in Washington. However, the sources, primary and secondary, are legion when it comes to those two cities. And rightfully so: they were the two contending capitals. What I'm interested in are the scores of materials that have already been written on those two cities, regarding the war. Now I understand that Atlanta is more important that Charlotte in the grander scope of things. But Charlotte was no light-weight. With its naval yard, gunpowder manufacturing facility, and numerous other munitions and private war-time industry, it is the most important city in North Carolina (sorry Wilmington), and one of the most important in the South. 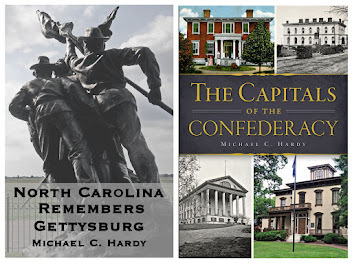 With the books on Atlanta and Philadelphia in hand, I went through the bibliographies, looking at the secondary sources related to these cities and the war. For Atlanta, I counted 23 books, articles, and doctoral dissertations on the city (this does not include general histories). There are tour guides, looks at industry, civilians, dissidents, etc. For Philadelphia, I went through the bibliography, looking for the same type of material: pieces related directly to the city and the War. The Philadelphia book is larger, and has a large bibliography. The numbers of books and articles are about the same as those for Atlanta. Of course, the Philadelphia sources go places that the Atlanta sources do not, namely, the maritime trade. Given the importance of Charlotte, especially after mid-1863, there is surprisingly little secondary information: three or four histories of Charlotte, and the small booklet On the Home Front: Charlotte During the Civil War, which at about twenty pages, well, not much to say there. In going through online sources like JSTOR, there seems to be more on south Florida and the War, than the Charlotte area. Needless to say, much of the work I am doing on this project will be from primary sources: newspapers, letters, diaries, and a few post-war reminiscences. Once again, I seem to be going where no one has gone before. "Will the real Tom Dooley please stand up?" This past Monday, I had the opportunity to speak at Wilkes Community College. The purpose of the gathering was to celebrate the release of Sharyn McCrumb's new ballad series novel, The Ballad of Tom Dooley. Sharyn and I have known each other for a over a decade, and it has been an honor to chase Confederate (and a few Union) soldiers for her. Below, please find a portion of the talk I gave on Monday. Surprisingly, there are more men named Thomas Dula than men by any other name in the Confederate army. I believe that these different Thomas Dulas have given other researchers pause, in trying to cipher out which Tom Dula it was that killed Laura Foster in 1866. I also have had run-ins with Thomas Dula in my own works. There was one in the 37th North Carolina Troops, and one in the 58th North Carolina Troops, both regiments I have studied and on which I've written histories. 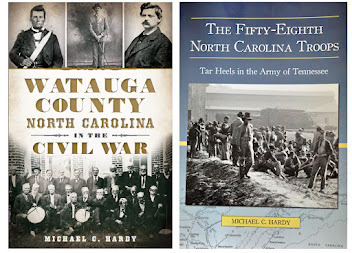 I don't recall if I ever suspected that the Thomas Dula in the 37th North Carolina was the Tom Dooley or not - that was many years and many books ago. It could be that I was not familiar enough with the story so many years ago. More likely, I probably realized that that the Thomas Dula in the 37th Regiment, a native of Caldwell County, died of wounds sustained in the battle of Gaines Mill, Virginia, in the fall of 1862, making it a bit of a strain for him to murder Laura Foster in 1866. I do have the faintest recollection of wondering how the Thomas J. Dula that enlisted in the 26th Regiment, and later transferred to the 58th North Carolina Troops, would work into my post-war chapter of the 58th North Carolina Troops as someone hung for murder. A little research showed me that this Thomas was not the right man. This Thomas enlisted in Caldwell County in March 1862 in the 26th Regiment, and transferred to Company H, 58th North Carolina Troops upon being elected Captain of Company H in May 1862. He was appointed to the rank of Major in April 1863, and transferred to the field and staff. This Thomas was wounded in the thigh during the battle of Kolb's Farm, Georgia, on June 22, 1864, and then promoted to lieutenant colonel on July 6, 1864. He resigned on August 4, 1864, after being elected solicitor of Caldwell County. Dula later moved to Wilkes County where he was a judge for many years, and buried not far from where we are today. While some solicitors and judges wind up on the wrong side of the bench, I soon learned that this Thomas Dula was not the "right" Dula. Then there is Thomas M. Dula, from Buncombe County, a corporal in Company K, 25th North Carolina Troops. This Thomas was discharged by reason of disability in May 1862. And then we have Thomas W. Dula, a resident of Caldwell County, who at the age of 30 enlisted in Company A, 22nd North Carolina Troops. He served until March 8, 1865, just days before the war ended. This Thomas deserted and went over to the Federal lines, where on March 10, he took the Oath and was released. There is also another Thomas Dula, who at the age of 48, enlisted in the 5th Regiment, North Carolina Senior Reserves. This Thomas was classified as AWOL - absent without leave, at the end of the war. That leaves us with just one: Thomas C. Dula. His record in the North Carolina Troops books is simple, and reads: "Resided in Wilkes County where he enlisted at the age of 17, April 24, 1862, in Company K, 42nd North Carolina Troops. Mustered in as Private. Promoted to Musician (Drummer) in January-February 1864. Present or accounted for until captured at or near Wise's Fork, North Carolina, on March 10, 1865. Confined at Point Lookout, Maryland, March 16, 1865. Released at Point Lookout on June 11, 1865, after taking the Oath of Allegiance." Someone at the North Carolina Department of Archives and History was helpful enough to add to the entry: "This soldier is the famous 'Tom Dooley' about whom the ballad entitled "Hang Down Your Head Tom Dooley" was written following his execution in 1866 for the murder of Laura Foster." Of course, we know that the execution did not take place in 1866. So, let's dive a little deeper into his record, because there is more. Many people want to give Tom more credit, or even combat experience. I read, just this week, a piece online, on Wikipedia no less, that stated that Dula "suffered various injuries throughout the course of the fighting." Um, no, sorry, that is actually wrong. According to Dula's compiled service record, the teenager spent time in three different hospitals, not because of an injury, but because of a fever. He was in the Confederate States Hospital in Petersburg, Virginia, in November 1862, and the Episcopal Church hospital in Williamston, North Carolina, in December 1862. He was sick in his quarters in January and February 1863, and was again reported in a hospital in Richmond, Virginia, on August 10, 1864, for an undetermined amount of time. Furthermore, a drummer boy, or musician, the position listed for Tom Dula, often times did not go into combat with the other soldiers. The regimental musicians were often detailed to the medical department as stretcher bearers once a battle began, swapping their musical instruments for canvas and wooden stretchers. Yes, they would have seen the horrors of war, the mangled bodies of friends and family, but the musicians were often behind lines, and not in the front ranks. Tom would also have experienced the boredom of camp, and by his stays in different hospitals, been susceptible to the numerous diseases that swept through the camps at different points during the war. The war undoubtedly changed Thomas Dula: how could anyone who survived those awful years not be profoundly changed? Dula's regiment, the 42nd North Carolina Troops, started out the war as prison guards at Salisbury. The regiment was mustered into service in April 1862, and in June was transferred to Virginia, again guarding prisoners and performing garrison duty. In November, the regiment was back in North Carolina, and on November 5, skirmished for the first time with the enemy near Tarboro. Tom was in the hospital at the time. Almost all of 1863 was spent in some type of garrison duty in the eastern part of North Carolina. It was not until February 2, 1864, that the regiment was involved in its first battle, albeit a small one, at Newport Barracks, North Carolina. Tom was reported as being sick in camp. In May 1864, the regiment was on its way back to Virginia, and combat. They fought at Bermuda Hundred in May 1864, Cold Harbor and Petersburg in June, and New Market Heights in October. By the end of 1864, the regiment was back in Wilmington, participating in the battles of Fort Fisher. The 42nd Regiment fought at Wise's Fork during the Confederate retreat, where Tom was captured. The fight continued at Bentonville, a last stand by the Confederate Army of Tennessee. The 42nd North Carolina Troops was surrendered on April 26, 1865, at the Bennett Place, near Durham, and disbanded on May 2, 1865 at Center Church in Randolph County, North Carolina. So, how do we know all of this? 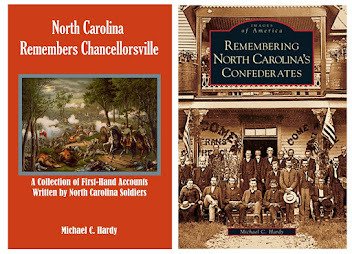 Much of what I have told you about today comes from the 18 volume set of books entitled North Carolina Troops, released by the North Carolina Department of Archives and History. The pieces about Tom's life come from his Complied Service Records from the National Archives in Washington, D. C. Added to this are my almost 30 years of reading, researching, and writing about boys and men, just like Thomas Dula. Thomas C. Dula was a teenager in the spring of 1862 when he voluntarily enlisted in the 42nd North Carolina Troops. He was mustered in as a private, but soon promoted to musician, a drummer. Dula would have been the soldier who sounded revile of his drum every morning to wake the men, and who kept the cadence when required to on the march. On the approach of battle, Dula would have stowed his drum with other regimental baggage to take up a stretcher, helping to carry men off the field who were too grievously wounded to transport themselves. He would have taken these men back to some field hospital in the rear. Dula would have shared in the hardships of camp, poor food, boredom, games of baseball and wrestling in camp, foot races, visits by dignitaries and people from home, church services and all night singings. Like all other soldiers, Dula would have been susceptible to the many diseases that plagued the camp. These diseases, at least three times, required stays in Confederate hospitals. And toward the end of the war, Dula himself was captured, enduring a stay in a prison camp, which were often more deadly, killing more men than the minnie ball and artillery shell of the battle field. Thomas C. Dula endured and survived all of these, only to come home and run afoul of the law. Once again, I am spending much of this week on the road. Yesterday, I was at Wilkes Community College, speaking at the premier of Sharyn McCrumb's new novel, The Ballad of Tom Dooley. The title of my talk was "Will the real Tom Dula please stand up". I'll probably post some of that talk later. I've got a couple of other trips this week. 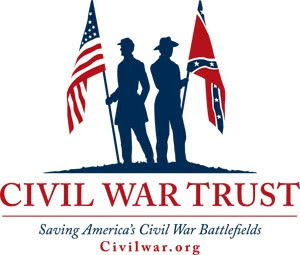 Tonight, (Tuesday, September 13) I'll be speaking to the Anderson-Tew-Bingham Camp, Sons of Confederate Veterans. They meet at the LaFiesta Mexican Restaurant on Mebane Oaks Roads. 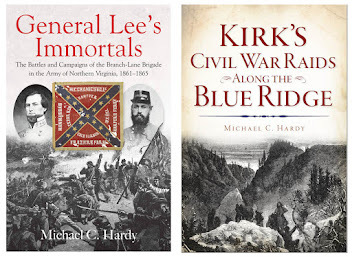 Tomorrow night (Wednesday, September 14) I'll be speaking at the Rowan County Public Library, in Salisbury, at the monthly meeting of the Rowan Rifles Camp, Sons of Confederate Veterans, which meet at 6:30 pm. This Saturday, weather permitting, I'll be at the Cove Creek Festival in Watauga County. More details to follow. I hope to see you around this week! In case you have not heard, the mayor/city council in Reidsville, North Carolina, has removed the base of the Confederate monument that was struck by a driver earlier this year. It appears that the century-old monument will not returned to its original position. You can learn more here. While on the topic of monuments, a new round of students are raising issues regarding the monument honoring former students from the University of North Carolina (Chapel Hill). These "issues" seem to come up every two or three years. You can learn more here. Click here and here to learn more about artifacts captured by the Union army during the March 1862 battle of New Bern are being returned to North Carolina (temporarily). The Salisbury Post has a piece on Stoneman's Raid - check it out here. Looks like I'll be traveling a lot this week. On Tuesday evening (September 6), I'll be visiting with the Yadkinville Gray Eagles Camp of the SCV. They meet at the Old Stage Grill in Yadkinville at 6:00 pm. On Thursday (September 8), I'll be speaking with the Black River Tigers SCV Camp, which meet at Simon's Restaurant in Angier, NC at 7:00 pm. Then, on Saturday, (September 10), from 11:00 until 1:00 pm, I'll be signing books at Costco in Durham, North Carolina. I hope to see you at one of these events. If you would like me to come and speak to your group, or at your library, drop me a line, and we will see what we can work out. I dug this out of the Charlotte News (05/16/1890) recently - what do you think - was Clingman just blowing smoke? Washington Letter: One of the octogenarian sojourners in Washington is ex-Senator and General Clingman, of North Carolina. He tells this story of his fire-eating passion as a Confederate soldiers: "I heard General Joseph Johnston had said as soon as we heard of Lee's surrender, that he intended to give up the fight. I was ten miles away. I will never forget that day. As I came dashing down to the headquarters of the general commanding, on my gray charger, I said: 'General, by G-d, sah, we must make this a Thermopylae of the new world, and, if need be, I'll lead the van now, myself, sah!' 'Thermopylae!' said Johnston. 'That kind of talk might do for old 'bucks' like you and me, Clingman, but for the young men in this army, who have wives and children to feed, and cotton to plant, and a living to make, it is too late at this stage of the game for any Greek business at this end of the line.' 'I subsided,' said Clingman "and Joe Johnston sensibly surrendered the next day." Many of you are friends on facebook, and I frequently post short notes about what I am working on or where I am off to. Today, I decided to set up a site just for my new project: Civil War Charlotte, to be released next year. 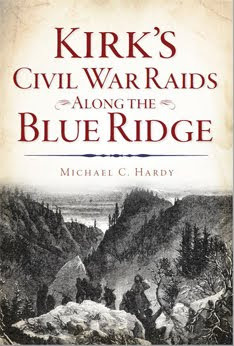 This book will be published by the History Press, which also released North Carolina in the Civil War a few weeks ago. I'll use this site to give frequent, short updates about how I'm progressing on the book. 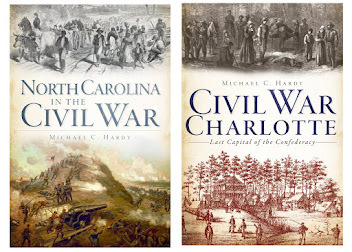 So, if you are on facebook, let me encourage you to "like" Civil War Charlotte and follow me on this adventure.